With the advent of new technology, it is quite easy to miss out on esteemed opportunities available. This situation is even worse when one does not have the expertise to tap on these changes. Well, this is the scenario for businesses which have limited knowledge of website development and design. Let’s face it, website services have tremendously changed how the business industry works. So, for serious entrepreneurs or companies wishing to know the importance of websites this article provides just that. 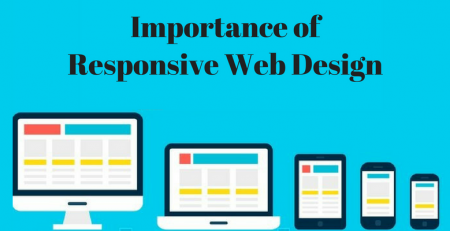 Below are the major benefits of website development and web design. When it comes to having a successful online platform, the user must enjoy easy navigation. Essentially, information provided on the website should be easy to access. For this reason, it is expected that the pages have fast loading speeds. Subsequently, the website is required to offer options to further aid in navigation. This encompasses the inclusion of a search box. Here, the users get to type on the search tool and quickly be directed to the section. It is through exemplary web design that a developer’s website achieves this. 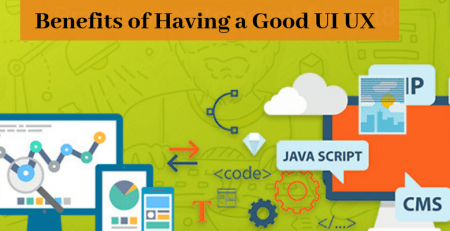 Aside from developing the website, the developer is advised to regularly test the pages for ease of navigation. This is to eliminate or resolve bugs that may hamper the ease of loading web pages. Remember, if a website has good navigation capabilities then it is guaranteed of more organic traffic. Search engine optimization has become a fundamental aspect to observe when it comes to the website. With millions of websites contesting to top in search engine results pages (SERPs), search engines had to introduce a way to list sites. Well, it is through web development and design that one gets to attain a higher ranking. Here, parameters such as; title tags, use of keywords, image optimization, linking among others are considered. This implies that the website meets all the standards required by be ranked top. Subsequently, it is through optimization that the website becomes user-friendly. Aside from having the website, the webmasters get to retain the much-needed users. Under this, the web developer is required to include features such as “call-to-action”. This further entails the need to have simplistic designs on the pages. Subsequently, you get to learn on the expected loading speeds. It is through this optimization that the website appears when different queries are made. So the website gets more clicks on search results. Truth be said, selling abstract product and services can be cumbersome. This is further complicated when a company only provides tons of text about their specialty. It is here that website development spices things up. By contacting a professional web designer, the business owner gets to choose the images to use. Additionally, the enterprise has the freedom to choose the number of promo videos and images. This will be guided by the optimization on search engines. The merit of using visual contents is that provides the users with a clear picture of what the product looks like. Apparently, not all customers understand the services or products offered through text. So the inclusion of images makes it simple to drive the message home. Besides this, use of images on the site easily captures the attention of the readers. Before reading through the text, users are often keen on the image. This improves the chances of having more users to the website. Nevertheless, webmasters are advised to avoid stuffing the visual data. This is because it makes it difficult for the user to interpret. It also lowers the ranking of the website of search engine optimization. So it is important to moderate the use of imagery. Business prosperity is highly anchored on the number of sales made. Well, creating a website can effectively aid a business venture to attract more sales. According to Statista, e-commerce activities are anticipated to grow by 21.3% by the year 2019. This indicates that sales on websites are attracting more users. Nowadays, more business owners are rushing to conduct their transactions online. This is because they have spotted the great opportunity to capitalize on online sales. The increase in sales goes hand in hand with the growing number of customers. To further promote the sales, webmasters are encouraged to include updates. It is through updates and upgrades that the website functions are smoothened. Moreover, it shows the clients that the brand is dedicated to offering exemplary services and information. Another way to improve the sales is by including promotions. Here, you get to create the much-needed fuzz among users. This replicates into more sales. Additionally, this gives users the impression that they can acquire affordable products from the company. So, all activities on the website add value to the business in one way or another. As the company aspires to spread its wings and expand, it is fundamental to have loyal customers. Nevertheless, this can be a daunting task especially when the entrepreneur uses poor tactics to achieve this. It is at this point that development and designing of the website help out. The metrics retrieved from the site enable webmasters to monitor the activity of users. Here, it is possible to highlight the customers that have continuously supported the brand. After pinpointing them, the business owner ought to employ creative ways to retain these customers. One innovative option is rewarding them with gift vouchers and rewards. This will definitely give them more reason to access your services or products. Remember, it is through the website that the business owner ensures no loyal customer is left out. Another fascinating thing about the lifetime users is that they are able to market the brand. So they get to indirectly work for the company. This also reduces the cost of marketing. One of the main goals of establishing an enterprise is to grow in terms of customer base. Well, there is a myriad of ways to achieve this but each has different results. 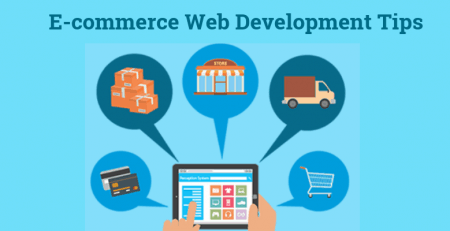 When it comes to web development and design, there are some major milestones achieved. The first one is that it puts the brand name out there. Essentially, when the website is available on Worldwide Web then the company is on a global platform. This means that the little-known enterprise can be searched and provide products to far-off customers. It is these services that aid to reduce the distance for the customers to access the activities. Here, there are other options such as purchasing or ordering the product on the website. Furthermore, the company still keeps in touch with the local customers. Great right! Conventionally, an enterprise was hosted in a brick and mortar structure. However, times have changed as more services have become digital. It is for this reason that entrepreneurs are encouraged to develop superb websites. In this platform, it is quite easy to maintain a good rapport with the end user. This entails retrieving feedback on the services and products offered. So you can interact with them and provide vital responses to the queries asked. Additionally, there is no limitation on the time of activity. By automating the services on the website, clients are guaranteed of round the clock services. Also under user engagement, the blog or site owner can keep customers posted at all times. For instance, if new price charges are introduced then customers are among the first to know. For startups, having products and services out there is fundamental in achieving success. That said, marketing strategies come in handy in selling the brand. Compared to tactics such as the use of main media and billboards, website development is pocket-friendly. It is through this online platform that a company can display all relevant information. This includes; products/services offered, location, pricing, reputation, contacts among others. The webmaster can conveniently post attractive offers on the website. Interestingly, it is easier to update amazing discounts and offers on the website. So there is no downtime in waiting for the advertisement to be put up. The same case applies when the company wishes to pull down a blog post or advert. Moreover, the business venture can work with a given figure. What does this mean? Essentially, through SEO the business can know where to place more emphasis. Additionally, the website provides up-to-date information on the latest advertisement in the market. When introducing a website for the company, it is crucial that the brand name be consistent. It is through website development and web design that this is accomplished. Here, the webmaster will create a singular brand name that will be featured on all the search engines. So there is no variation regardless of whether the site is on Bing or Google. Furthermore, the brand logo and name is similar throughout. This reduces the chances of confusion with other competitive brands. This also trickles down to the issue of consistency. It is anticipated that the company maintains a constant tracking of their users. In case of rebranding, the webmaster should ensure that the due procedure is followed. Once this is considered, then the search engines will automatically update the records. So, once customers search for the brand gets to access the right item. Another way to look at this is that the website can aid to inform clients of changes. As the company employs other techniques such as social media, the website can also chip in. Here, the webmaster can even tease the readers of a new look before launch. All in all, these changes can be implemented all through. Dot Com Infoway provides enterprise, native and custom web application development services to ensure that your business applications are developed, maintained and managed within optimal costs. Unfortunately, many startup and major company fail in their venture due to low profits. This is despite having great expectation of the investment made. Part of the failure is attributed to engagement of poor business tactics such as negligence of web services. It should be known that website development and design is affordable. By properly structuring the content, the webmaster saves a lot of cost during web development. The cost saving aspect extends to the futuristic gains the website will bring to the business. Furthermore, the website reduces the distance covered to reach out to the customers. 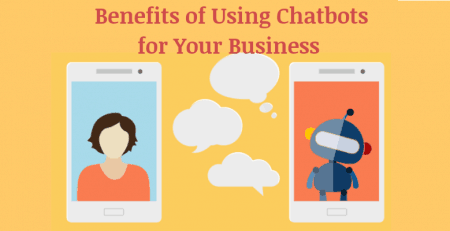 If one was to physically talk to potential customers then it would be resource intensive. It is here that web services come in. Moreover, cutting such extra costs means that the business is accruing more profit. Business owners must have come across the many ads been broadcasted on various website. Well, this is one of the intriguing ways a business venture can attract more profit. Basically, the company will be approached by other enterprises to have their ads run on the website. As part of marketing and advertising, the host website will charge a certain amount to have the advert. 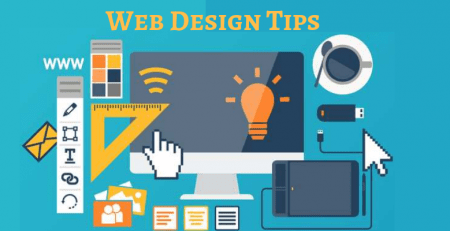 Subsequently, it is important to come up with a unique and renowned website. By focusing on this, the webmaster gets to place the website on the limelight. The big winners here are those whose website attracts more enterprises and ads. As stipulated before, precuts and services have shifted from the stores to online platforms. One of the profound online venues is the website. Let’s take the example of Amazon, managed to contribute to 44 percent of the total e-commerce sales in the United States. Moreover, Statista highlighted that the company has managed to make $108.35 million in 2017. After the in-depth elaboration of the importance of a website, certain aspects come out clear. 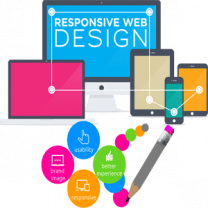 The first one is that business enterprises should endeavor to develop and design a custom website. Secondly, it is crucial to put the best foot forward. So it is anticipated that the website or blog meets and surpasses the guidelines. Having said this, it is up to the webmaster to make that broad move and develop a website.